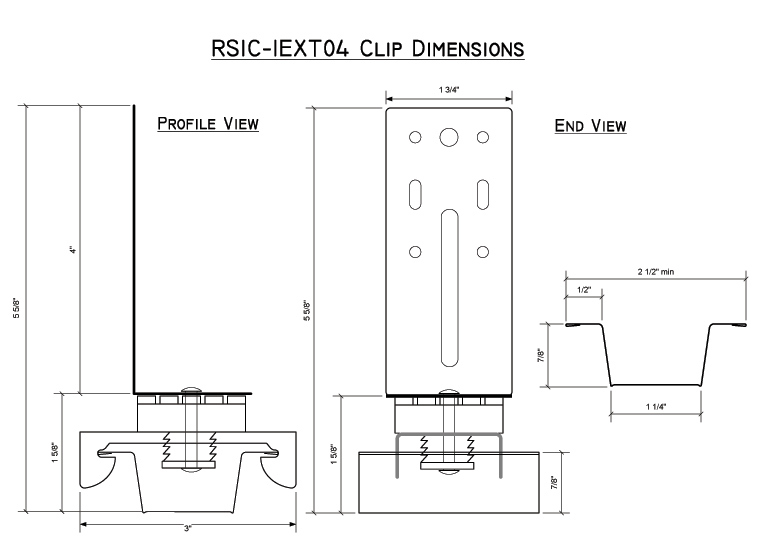 The RSIC-1 EXT04™ is designed for use where an additional drop for HVAC, Plumbing, or Electrical Chases is needed. This clip gives you the flexibility to drop a ceiling as much as 4″ from its original height. The RSIC-1 EXT04™ is also used to level out uneven floor joists. This resilient ceiling hanger clip has proven to be very popular with the Home Theater industry. It creates a dropped ceiling, allowing an open chase for the new wires, all while retaining the superior acoustical performance of the RSIC clips.